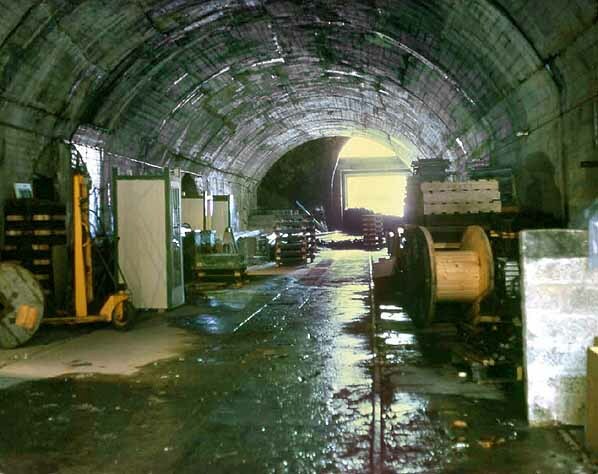 St. Aubin tunnel looking west in 1973. The German metre gauge track is clearly seen on the right. 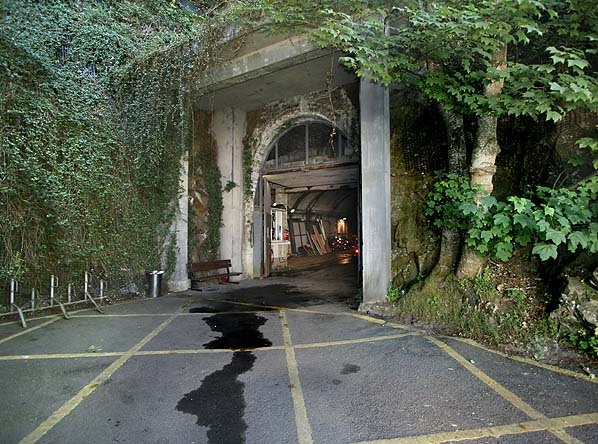 The east portal of St. Aubin tunnel in June 2010. 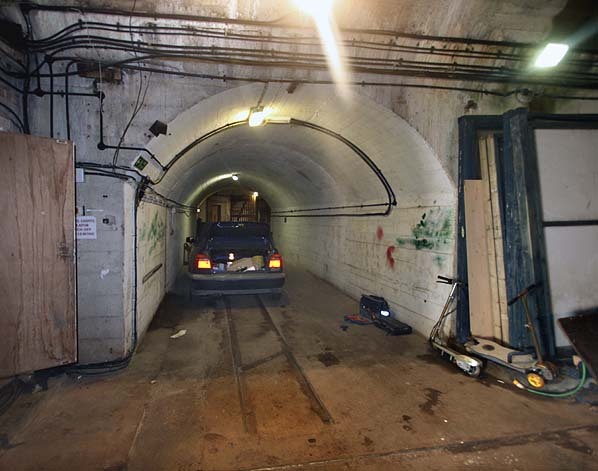 St. Aubin tunnel looking west in June 2010. German 60cm track is seen on the left with 1 metre track to the right. 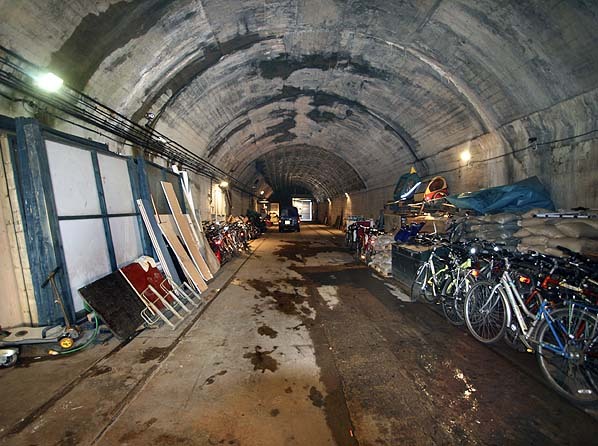 One of the side galleries in St. Aubin tunnel laid with 60cm track.